This is an important test for all Scouts who wish to obtain their Chief Commissioner’s Award. Eligibility: 1. Candidate must be a registered SCOUT aged 16 years or younger on the 1 Jan of the year he/she attempts the Exploration Test AND possesses at least the Advanced Scout Standard. 2. 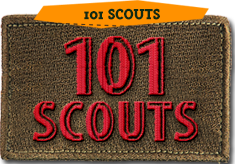 Candidate must have passed the First Class Scout Badge Exploration Test in accordance to the HQ prescribed requirements. The First Class Hike Log should be produced for verification as and when requested by the examiner. 5. Results of CCET – to be released by Friday, 26 Dec 2014 and candidates to be informed via email. Fees: $10.00 per participant All modes of payment (cheque, payment by Scout Fund or IFFAS) should be made payable to ‘The Singapore Scout Association’ and please indicate purpose as “South Area Chief Commissioner’s Award Exploration Test – Fourth Intake”. 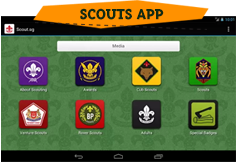 Vacancies: 15 candidates with priority given to South Area candidates Scouts are to submit the Individual Programme Form (downloadable from http://scout.sg/forms ) and make payment to the Singapore Scout Association directly.